In my last post for CAD Notes, I showed you how to take a task that you perform frequently, and automate it by turning it into an AutoCAD script. In this post we will look at another automation tool – the command Macro. We will look at the difference between a Script and a Macro and discuss the possibilities of both. An AutoCAD Script Is an ASCII text file, with the file extension .SCR, that contains a number of instructions for AutoCAD to perform at the command line. An AutoCAD command Macro is also a list of instructions for AutoCAD to follow, but a Macro is run from the AutoCAD UI (A tool bar button, menu pull down or short cut key combination). A Macro usually lives within your CUI or on a Tool palette. I hope to demonstrate that the process of writing a Macro is the same as that of writing a Script. All you really need to automate AutoCAD is a good understanding of the sequence of commands that you need to complete to get the job done. The Good – AutoCAD scripts can contain long lists of instructions for AutoCAD to follow. AutoCAD scripts can be stored in a central location on your server. Should you want to update a Script file, you only need to change it in one place for everyone to get the changes. 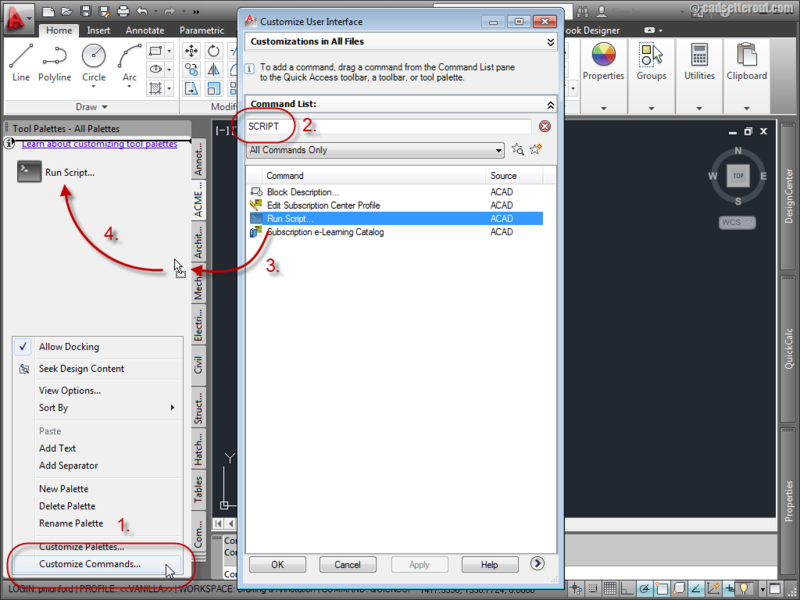 AutoCAD scripts can contain comments, to remind you what the script does. If you are using the full version of AutoCAD, you can use the LISP programming language within your script. This is not available to AutoCAD LT users. The Bad – Loading Script files can be a fiddle, and your users will need to know where to find the Script files. Some internal training will be required to run your Scripts. The Good – AutoCAD command Macros can be distributed via the CUI or tool palettes, making it much more intuitive for your users to use. AutoCAD Command Macro’s can contain LISP code, and they can also contain DIESEL code (which is good for AutoCAD LT users). Macros can contain pauses for user input, but be careful – there is no error handling method in a Macro. The Bad – Writing long, complicated command Macro’s can be very difficult to debug. Note that, instead of a carriage return macros use the semi-colon to indicate where you would usually press return on your keyboard. Spaces are also interpreted as hitting the return key (just like when you are operating AutoCAD manually). However, using spaces can make your code difficult to read and debug so I suggest that you replace the spaces with semi-colons. The ^C^C at the beginning of the command is equivalent to pressing ‘Esc’ on the keyboard twice. This should cancel any other commands that are running before your Macro runs. You can read more about the Syntax for AutoCAD Macros here. Running and Debugging your Macro. You can run your Macro from the AutoCAD CUI (See Edwin’s post on creating new AutoCAD commands) however I am going to show you how to run your command from a tool palette. First use the keyboard combination shortcut CTRL+3 to open your tool palettes. Right click over any blank area on your palette and chose ‘New Palette’ to create a new blank palette which we will use for testing our macro. 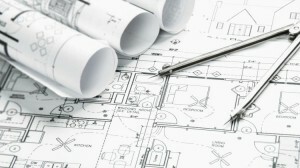 Tip: These instructions are for AutoCAD 2012. Previous releases may be a little different. If you are new to working with Tool palettes, read Edwin’s post ‘creating your own AutoCAD palette’ for more information on creating and working with tool palettes. Right click over any blank area on your new palette and choose ‘Customize commands’. This will bring up the ‘Customize user interface’ dialogue. Type ‘script’ into the search box to bring up the run script command. Drag and drop the run script command from the customize user interface dialogue onto your palette. You don’t have to use the run script command for testing Macro’s, but there isn’t a ‘Run Macro’ command, so it will have to do! To add your command Macro to the new toolbar button, right click on the ‘Run script’ tool palette button, and chose ‘Properties’. You can now paste your Macro in under ‘Command string’. Click on the OK button to close the dialogue and save your Macro. Finally, click on your new button… and see what happens! You now have all the fun of debugging your Macro. I hope that it works for you first time. If it doesn’t – Hit ‘F2’ to bring up the AutoCAD text window to see what happened and what you might need to adjust to get your Macro working. Here are some examples of command Macros that you could use, see if you can work out the commands and options used. Start the fillet command with a radius of zero – Handy for joining reluctant polylines. Break a line at the point you click on. Purges all registered applications from memory. What will you write a Macro for? Writing Macro’s for AutoCAD can be simple and fun. You can create simple quick Macro’s that will save you time and effort every time you have to create a drawing. You could create a Macro to plot your drawings at the click of a button, update your title block or create geometry on your company standard layers. Or you could create Macro’s to pull AutoCAD commands together that you use frequently. Hello! new-ish to AutoCAD – I have cameras in my building and we want to plot each cameras Field of View (FOV). However, because we have so many cameras (~200), there will be several FOV’s that will overlap. Putting all of these FOV’s in one layer will create quite the mess. Is it possible in AutoCAD to click on a camera and have it show it’s FOV? click on it again to turn it off? I would assume this may require separate layers for each FOV? (Though this would not be ideal). Looking forward to hearing some feekback and suggestions! !